Happy New Year friends! I hope your holidays were merry and bright! Ours was very quiet and chilled. Nothing too exciting in our household. The blog did get a nice facelift though! Do you like it? I'm still working on what elements I want to add but I'm overall pleased with it. I hope you all like it too! Let's get into the new year with a new recipe, shall we? I was that weird child that always enjoyed a good salad before the pizza arrived. 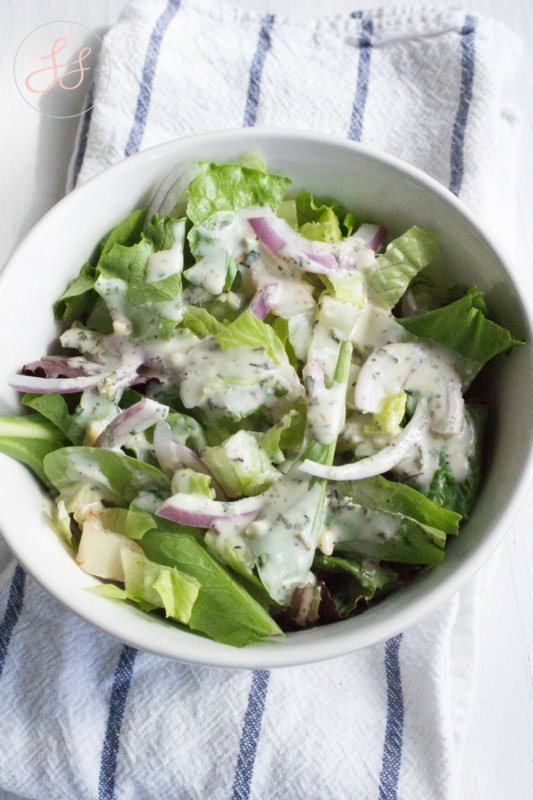 I remember growing up and ordering a side salad with creamy Italian dressing from our local pizza place. I still am that way, I like a good side salad before most meals. However, since I ventured into the dairy-free realm, I've missed that creamy Italian goodness. What I love most about this recipe, which is what I strive to do with most of my other recipes, is it's super simple. 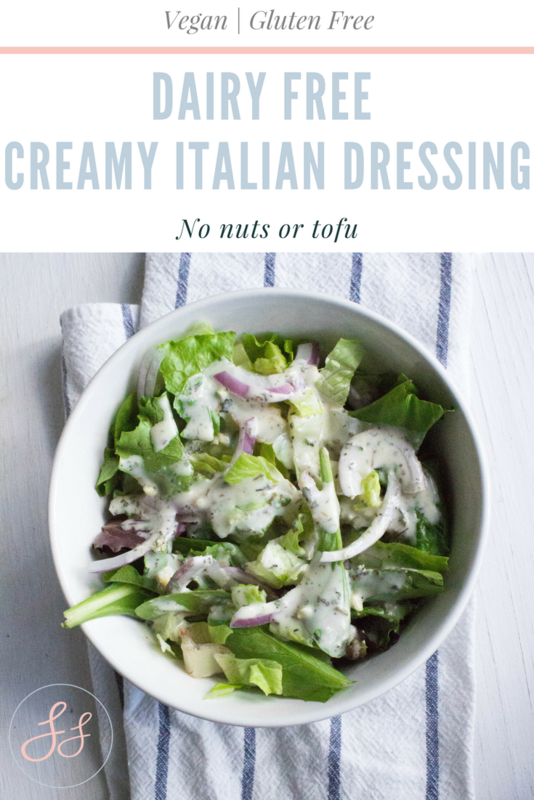 So many dairy-free dressing recipes require soaked nuts or tofu and sometimes that just not doable. 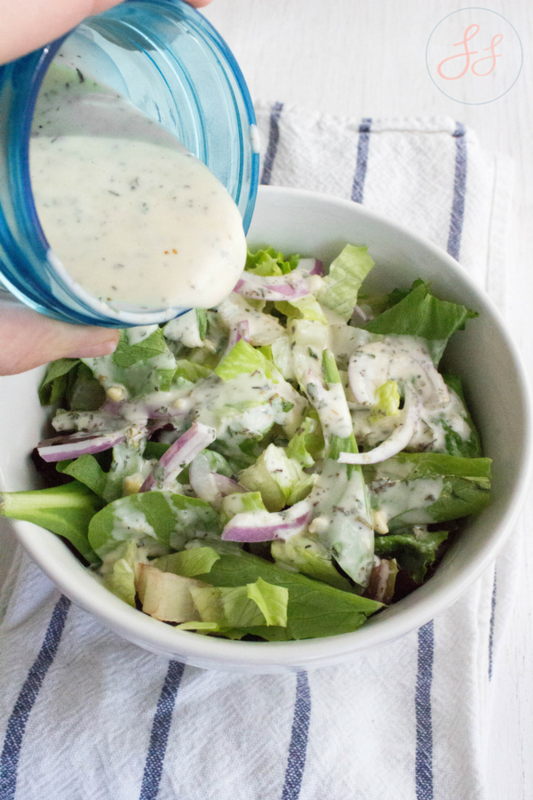 This has a lovely vegan mayonnaise base and is packed with amazing flavor. This classic is now dairy free with just a few simple ingredients! *I tend to use less sugar then 1 tablespoon. So if you want to add less you can. *I use Just Mayo vegan mayonnaise. It is my personal favorite.